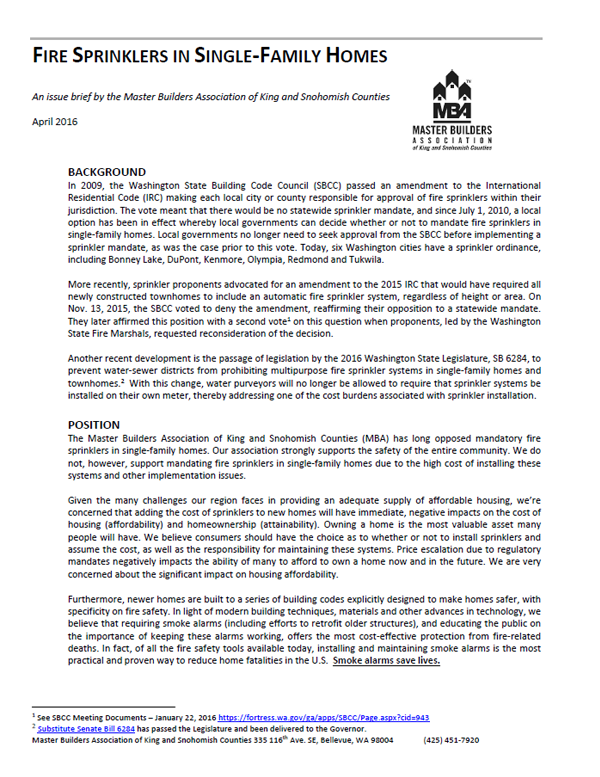 View detailed reports on a range of industry topics in which the Master Builders Association is involved. 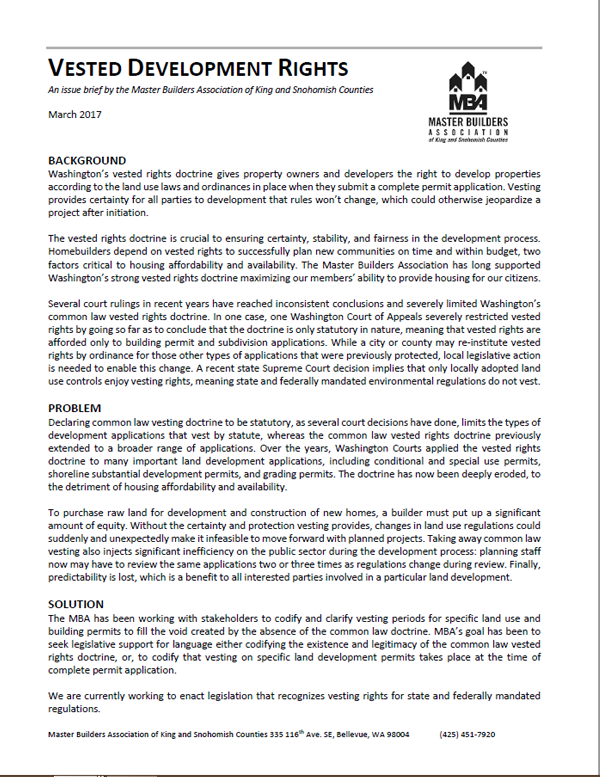 Our documents are made publicly available so that both our members and residents can go beyond headlines and go deeper into the issues, actions, and resolutions the Association has proposed regarding residential homebuilding. Click the links below to see what the Association is doing for the industry and our communities, and how you can help. 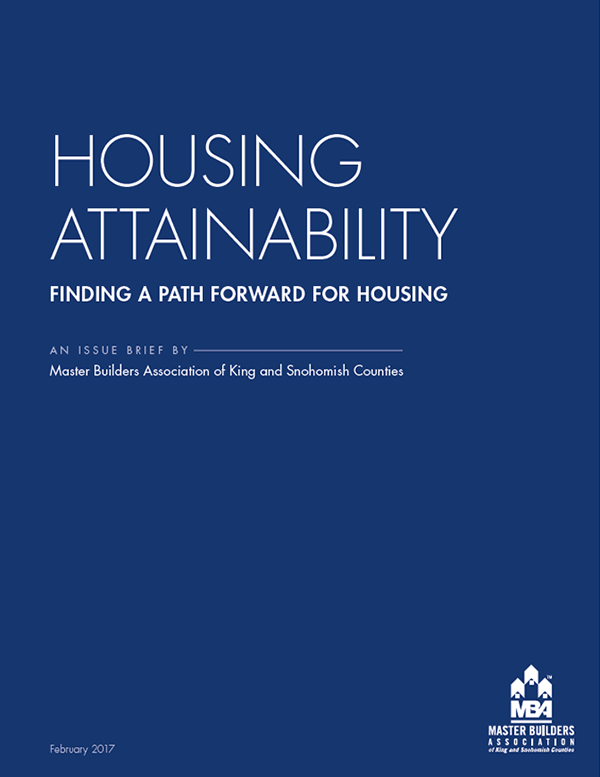 How do we create a healthy, sustainable balance between housing supply and demand? What does housing do for our region? 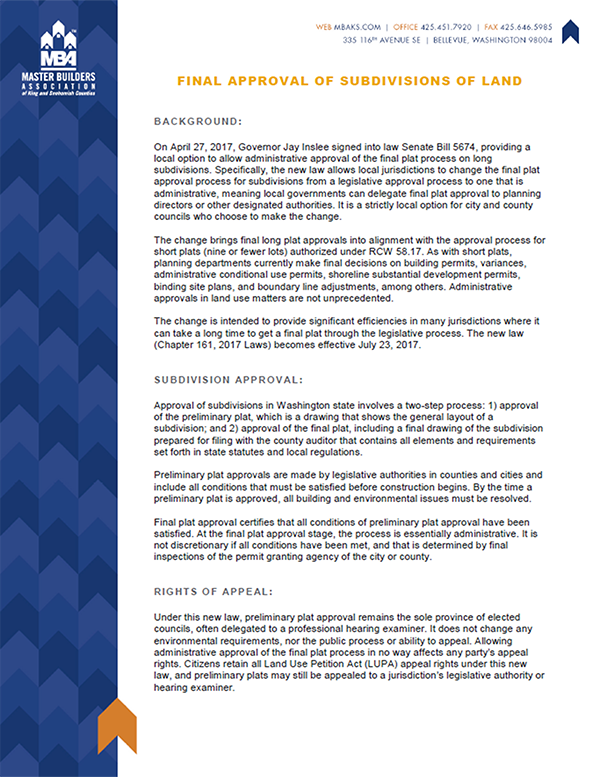 Answers to these questions and more are inside our Government Advocacy publications.